Boom - on the same day of fishing, Max gets his first marlin as well. 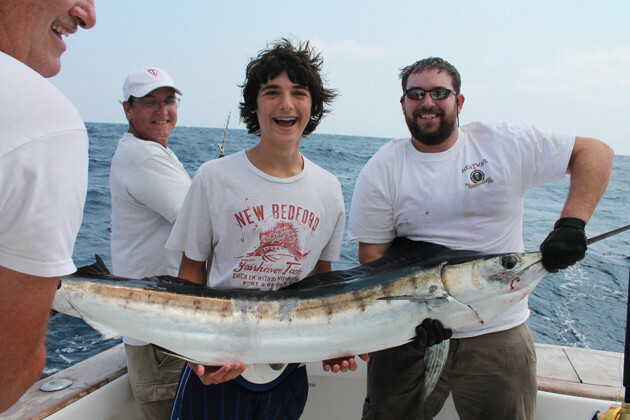 Yes – David scores his first white marlin! 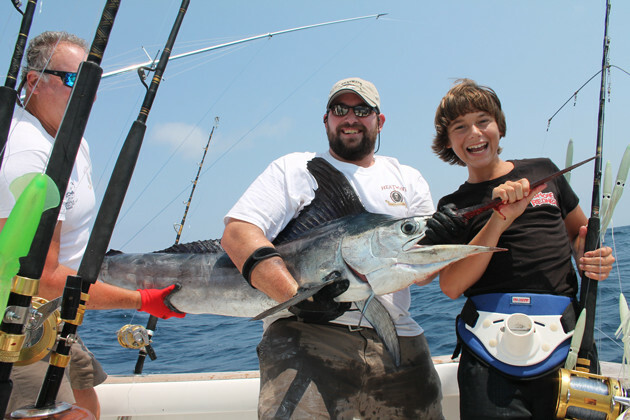 Boom – on the same day of fishing, Max gets his first marlin as well. I don’t care who you are or how many fish you’ve caught, a pair of white marlin like these has GOT to get the blood pumping. And in both cases, the boys ran the show from start to finish. There was no adult setting the hook, or a mate who handed off the rod. It was them and all them. And in-between billfish, they reeled in six tuna and a couple mahi-mahi, as well. You can get the whole story of exactly what happened in “Their First Marlin,” but in the meantime, let me give you the condensed version: both of my sons caught their first-ever marlin without an ounce of help, and I’m about as proud as it gets. Bragging time!